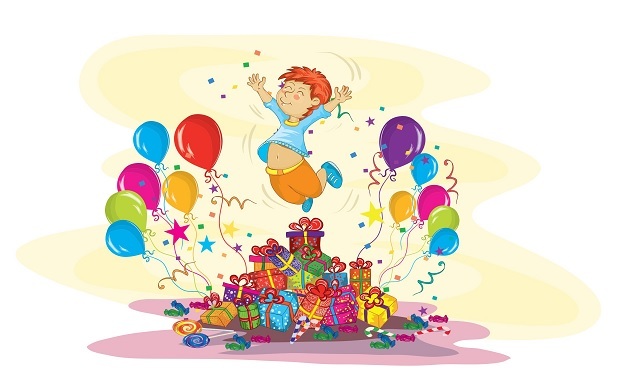 A "how to" article on planning the perfect birthday party for your child's first birthday. Your child’s first birthday is a very special occasion and is one that should be very memorable. Planning the perfect celebration will ensure that everything goes well without any hitches. Step 1: Send out the invitations in plenty of time and request an RSVP by a certain date. This will allow plenty of time for planning. Step 2: Decorate your house with balloons, a banner, ribbons, etc. Step 3: When your guests arrive, allow them to mingle a little while and then begin some party games, such as ‘Musical Chairs’ and ‘Musical Statues’. Step 4: Set out the buffet on a table, either inside or out, depending on the weather. Step 5: Light the candle on the birthday cake and sit your child on your knee whilst everyone sings ‘Happy Birthday’. Then help your child to blow out the candle. Step 6: Play some less energetic games; such as ‘Pass the Parcel’ or have a sing-along. Step 7: Cut the birthday cake and place it into your party bags ready for your guests to take home with them. Think carefully about the guest list. It is probably better to keep guests to a minimum in case your child gets overwhelmed. Keep a pen and notebook handy to jot down anything you suddenly think of concerning the party, so that you don’t forget anything important. It may be better to stick mainly to friends and close family, as your child and other children of the same age will not be able to participate in lots of party games without assistance. Remember that your child will not be able to remember anything about the event, so it is important to take lots of photos and use a camcorder - if you have one. Make a scrapbook of the event, by sticking photos, cards, messages, etc, into it for your child to look through when he/she gets older. If your child usually has a sleep at some point in the day, try to organize your party round it. Consider the ages of your guests when organizing the food. If you have adults and children, make food to suit all ages. Try to keep the party time down to a minimum and keep a relaxed atmosphere. Never leave bowls of sweets around if there are very young children present, as these can be a choking hazard. Take care if having a barbecue or similar meal, as there is always the risk of a child getting burned without strict supervision. If you have children of varying ages at the party, make sure you prepare your party bags accordingly – as small toys could be dangerous for very young children. If adults are drinking alcohol at the party, make sure they do not leave any in reach of young children. Make sure any outdoor gates, stair gates, etc, are securely closed at all times. Paper plates, cups, napkins, etc. Really superb info can be found on site. “The quality of an organization can never exceed the quality of the minds that make it up.” by Harold R. McAlindon.